We have a team of Libertors serving Parker. They are women of mass organization. 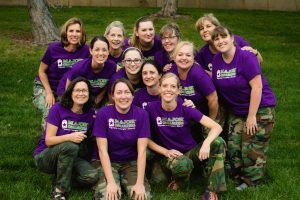 They have each completed the Major Mom Academy and after 100 hours of training are Certified Liberators. These Liberators are all moms and they have hearts for organizing busy moms and their families. Amazing job! The team completely transformed my storage room from a cluttered, unorganized space into a new, clean, organized usable storage room! It feels great to be able to walk around in there and find and access the things we need. A big thank you to Janet and Tina for an incredible job! 5 stars! What is a stressful experience, is made so much easier with Major Organizers staff. They came to chaos and left us with a home. We are organized and functional and we are grateful. Such smiles, such positive women who led us through a major life change. I was very pleased with Janet, with Major Organizers. She was courteous, efficient, and worked tirelessly for four hours. I will probably have her back again, for I needed more done the both of us working together could get done in the time I scheduled. When she finished, I had a lot of the organizing completed so I could know where and how to finish filing the papers I had just put in boxes. When Deanna and her team arrived, I wasn’t exactly sure how much they would really be able to accomplish but in 5 short hours, they de cluttered and organized all of the main catch-all areas in our home—the laundry room (a post-holiday entertaining disaster area), our key drop counter and cabinets, our master bedroom cabinets and part of our office/kitchen area. The transformation was amazing! Before they arrived, I was sending out almost all of our laundry because going in the laundry room was so overwhelming and there was nowhere to fold. I haven’t sent out the laundry since they left and I was able to tackle some additional areas of the house on my own because it didn’t feel like such a daunting task. And then…Deanna and her team came back to help with our overflowing basement cabinets and unfinished storage area and again exceeded my expectations!!! It’s so easy to put things away now because everything has a place. Deanna and her team were so kind and amazing to work with. They were such hard workers and I was so impressed with what they could accomplish in such a short time. I am so grateful! Definitely the best money I’ve ever spent!!! This was a very pleasant experience! Great service to have unbiased resources to help in the moving process! Kind, personable. detail oriented, focused and timely… just perfect. Thank you for everything!! You can tell that my organizer, Renee, has a heart for helping people. It was important for me to get a Major Start on my office. Although my budget wouldn’t allow for a total transformation, Renee came with a plan and determination to make as much headway as possible. Here efforts have made a great impact – I don’t feel overwhelmed by the remaining steps, have gotten rid of a lot of papers, the flow in the office is much better. Thank you for getting me out of “stuck”. We got to a point in organizing our basement that we weren’t getting anywhere. We needed help – professional help! Debbie was just what we needed no pushy but was able to get us to get rid of things and organize everything. She left us with a direction that made us able to finish it ourselves. We couldn’t have done it without her! I’ve always had a messy desk. Major Mom doesn’t just clean up – I was surprised at how much more thorough the process was than I had expected. My organizer helped me organize 5 years worth of paperwork in just a couple of days. Organizing my office actually helped me organize my business life. Joan and Janet were wonderful to work with. They have literally improved our family’s quality of life! I am no longer overwhelmed, frustrated, or anxious about the job of organizing my children’s outgrown toys & clothes, or my husband’s garage things. We have already recommended Major Mom to our family and friends and would not hesitate to hire their amazing help again! I had an empowering day with Wendy! She was so polite, professional, and passionate. We set goals, worked through them and accomplished what I have been avoiding for moths and years. In the end, I had a “homework” list for me to continue our efforts and had a huge pile to donate. I can function now in spaces that I enjoy being in. I would highly recommend Wendy to all my friends & family. I will be contacting her in the future for a new project. Thank you! I’m so grateful to Linda and her team for all they did. Amazing group of women; very compassionate, dedicated and efficient. I highly recommend them. Major Mom was a life saver! I couldn’t have gotten ready for this move in ANY amount of time without them! And Tricia Turner was completely and utterly amazing! She and her Liberators got through massive numbers of boxes of junk and papers mixed with treasures tumbled into boxes that we’d been carting around with us for ages. Major Mom’s assistance in downsizing our upcoming move by going through those myriad boxes and separating out what was to be shredded from what was to be trashed from what was to be kept and organizing the latter so that all the memorabilia was together and all of the other kinds of items were together was absolutely invaluable! It allowed me to quickly identify what I most wanted to protect so that I could take that to a storage unit or set it aside to go in my car instead of going on the moving van. I couldn’t have done this move on schedule without them! A twenty-one gun salute for Major Mom and her Liberators! There has been so much turmoil in my life recently. I desperately wanted to regain my sanity. I have worked with Major Mom before and knew that they could lovingly and quickly get to a better place in my life. Courtney, Linda and Wendy got my office functioning and looking great. I love it. Then we tackled the 3 car garage. I now can get my two cars into it (no more scraping snow off the cars) and my husband has a car bay for his tool/work space. Maybe he’ll be able to finish some projects around the house now. Thank you so much. You are the best! I’m thinking of Major Mom today especially because I need to answer a ton of attorney’s questions and I don’t feel too overwhelmed by it because all those medical papers are now in order. What perfect timing! The man-cave is really coming along – you’d be amazed. Again, thanks so much for helping me get back to being organized. It means so much to me!!! Dear Angela and Major Mom team!! I must say I never thought this garage could ever look like this again!! It would have taken me 10 times longer if I didn’t have your help and support. You were amazing. You kept me stationed in one location and brought me one box at a time to go through. This system allowed me enough time to go through everything in easily half the time it would normally have taken. Your advice helped me decide to put about half of the things in the garage sale. My life feels so good having less to move around. Also – thanks to you I moved the things I kept into a “pod” that you organized for me. This was a stoke of genius when (at last minute ) I made the decision to move to California (where my children are ) instead of another location in Colorado. The ” Pod ” is in storage now and will be delivered to California once I decide where in California I will be living. I just cannot thank you enough. Your worth your money and then some. You were non-judgemental, up-beat, always smiling and positive. This was an incredibly difficult project that became a joy to do thanks to you. I cannot say enough good things. Your a gift to all in despair. Thank you very much again and again!!! !